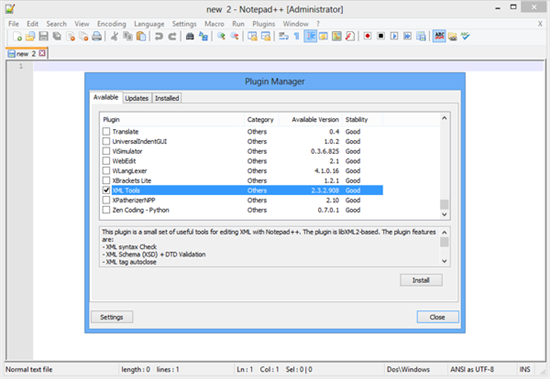 This article demonstrates how to achieve good XML formatting in a wiki article using Notepad++ (a free Notepad editor) with the XML Tools add-in. 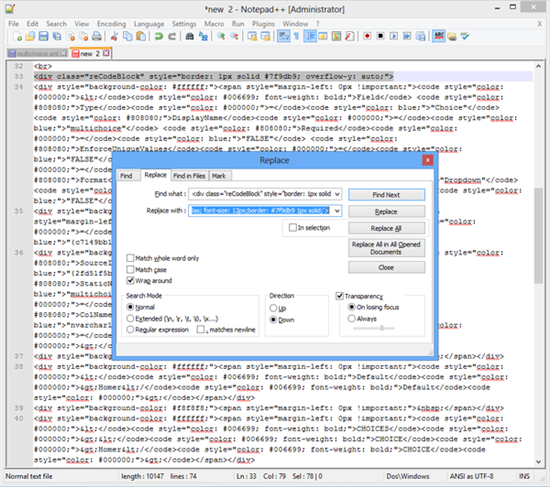 The Wiki code editor allows you add (and format) XML markup. 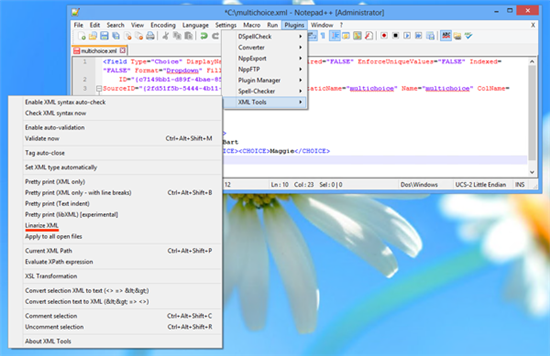 However, before adding XML markup, it's important to format the source XML data before copying it to the code editor window. 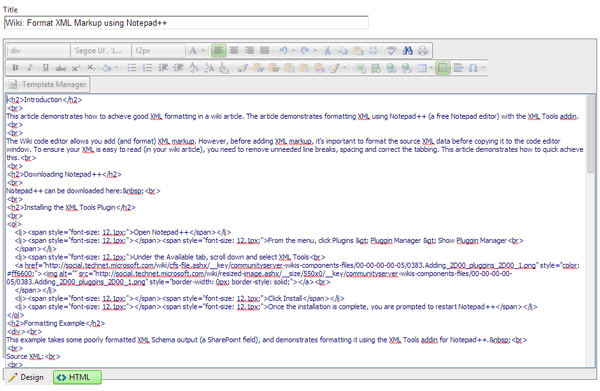 To ensure your XML is easy to read (in your wiki article), you need to remove unneeded line breaks, spacing and correct the tabbing. This article demonstrates how to quickly achieve this. 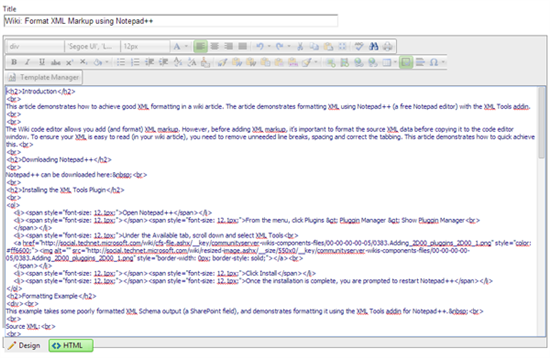 This example takes some poorly formatted XML Schema output (a SharePoint field), and demonstrates formatting it using the XML Tools add-in for Notepad++. <Field Type="Choice" DisplayName="multichoice" Required="FALSE" EnforceUniqueValues="FALSE" Indexed="FALSE" Format="Dropdown" FillInChoice="FALSE"
The code editor does a reasonable job of colourizing the markup, but it's hard to read (and on some browsers, the font will be smaller). To format this code so that it's readable, and has a consistent font size, follow these steps. 2. Click on Plugins > XML Tools > Linarize XML. This will remove all of the line breaks and extra spacing from the code. 3. Once the XML has been linarized, it can now be formatted with line breaks and tabs. 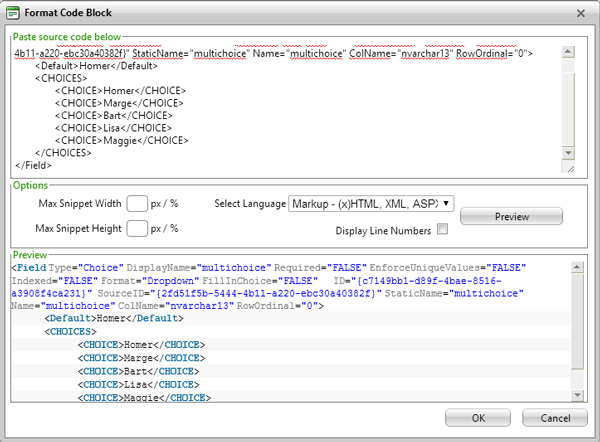 Click Plugins > XML Tools >Pretty Print (XML Only - with line breaks). 5. 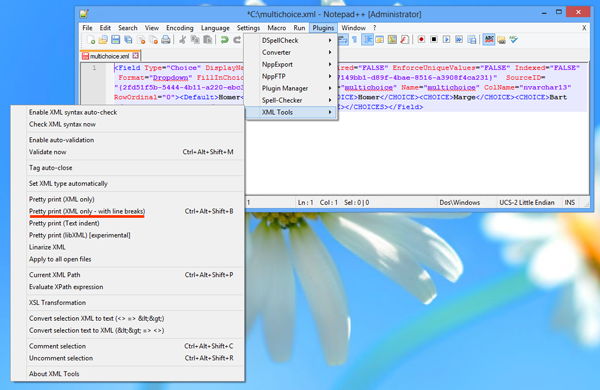 Select "Markup - (x)HTML, XML, ASPX, ..." for the language, and click OK.
9. Copy the HTML back into the Wiki HTML editor.